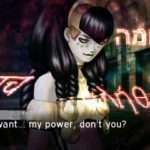 Continuing with our examination of Shin Megami Tensei: Nocturne‘s English localization, part two focuses on demon races. Though the demons themselves represent the “science” of localization, the work required by their races is probably best described as a convergence of research and performance “art” made possible by the strictest limits of any single category. But even though there’s a lot of good to be found, within the races we find some unfortunate omissions that, more than any other, have impacted future games’ localizations and likely even the quality of life for players. So which races need improvement–and what others should be left well enough alone? 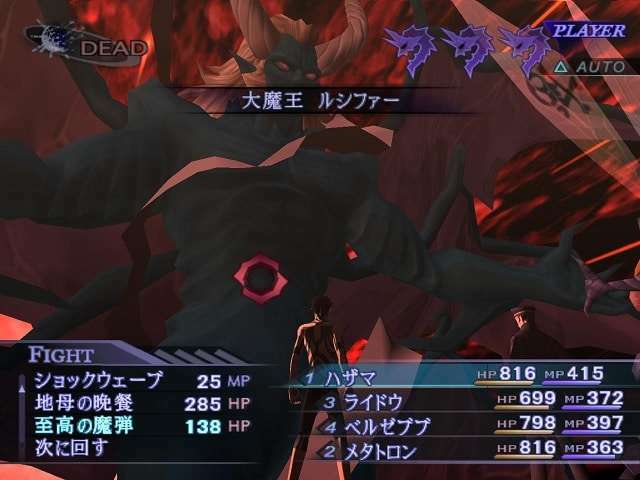 I could talk at length about Shin Megami Tensei‘s demon races, but since this article only requires commentary about Nocturne‘s localization decisions you’ll be spared the interminable diatribes about which demons should be categorized where. But there’s still plenty to discuss, as the demon races pack a lot of information about their respective mythological archetypes in a tiny package. This is especially true in the Japanese versions, but only because of that language’s preposterously unfair advantage: Japanese races consist of up to three kanji, each representing a different word or concept. It’s practically cheating! As a rule, English race names have never exceeded seven characters in length, though they very rarely exceed six. In essence, ALL English race names are innate character limit victims, so that category will be assumed and unspoken except for one special case. 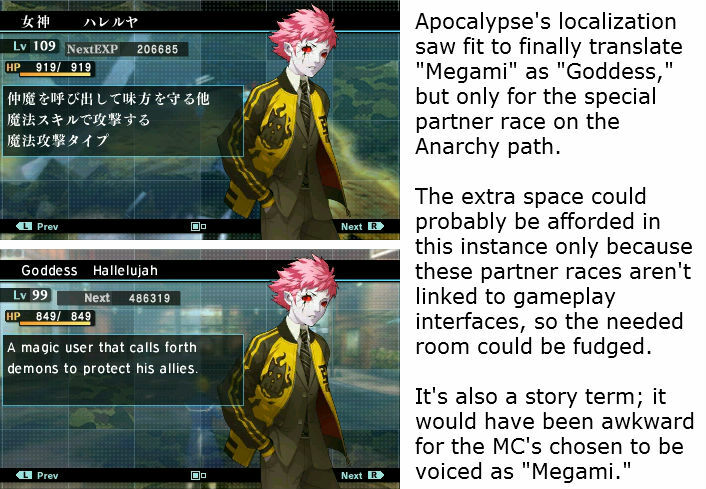 The good news is, however, that Atlus USA did an overall fine job despite such a handicap. 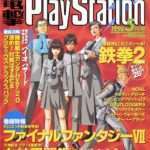 We can’t get complete ideas, but even in Nocturne, some creative workarounds in some cases exceeded the Japanese originals. For the races, it made more sense to group them by those categories rather than listing them in the order the game presents. First up: The highlights! DEITY: (LH) The word “deity” was an inevitability for the list of races, but it couldn’t have found a better home than here. This is a localized race I’d say exceeds the meaning of its Japanese counterpart. That’s a bold claim, but I can back it up. 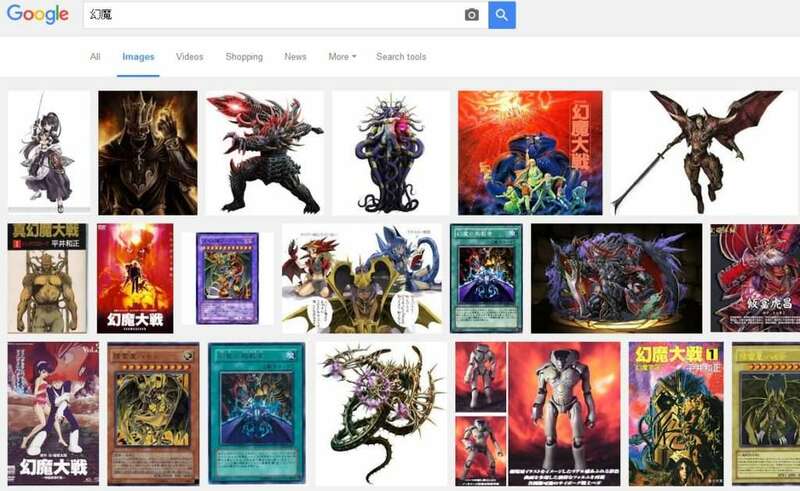 Almost two years ago now I wrote an article delving into the series’ peculiar use of the kanji “魔” (which I will hereafter call “MA”), and Japan’s Deity race name, 魔神 (majin), is one such “MA”-bearer. My conclusion was that the “MA” kanji and many of the words that utilize it were inherently meaningless in the context of Shin Megami Tensei unless you completely disregard the kanji’s literal meaning: that of things being demonic. “Majin” itself also has a history within the greater sphere of Japanese pop culture and doesn’t necessarily connote real-world gods, so in that sense it’s a bit of a loaded—even diluted—term for SMT’s purposes. “Deity,” on the other hand, avoids any connotative drama and gets right to the point. 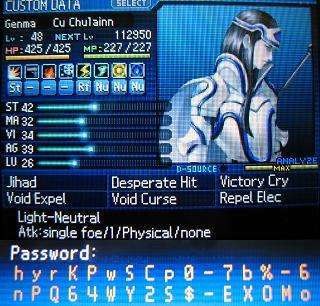 MEGAMI: (CLV, LH) The exalted Megami race is probably the most notable character limit victim within the races. Obviously, the literal, indeed, ONLY translation for it would be “Goddess,” but that word is seven wide, tragic characters long. Commence the weeping. You know, Scathach isn’t really a Goddess… oh, right, I said I wasn’t going to do that. My apologies. TYRANT: (LH) The Tyrants are another “MA” race (so, again, see my related article) but, unlike the Deities, their Japanese name, 魔王 (maou), actually has something goin’ on: The word is basically a synonym for “bad guy” in Nippon. Though it’s directly translated as “Demon King,” a more natural English translation would probably be “Overlord” (or “Archfiend” in Dragon Quest)—way too long, but “Tyrant” is so awesome exactly because it insinuates the same thing in fewer characters. I’m not sure this one could be any better. HAUNT: (LH) My thesis: “Haunt” is a freakin’ great, inclusive name for this demon order. My evidence: Look, just accept it. Fewer headaches that way. The difficulty comes from sussing out what exactly separates the Haunt demons from their own Dark-Chaos relatives, the Spirits. 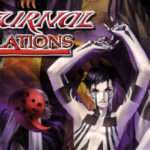 Compounding the challenge is that Nocturne‘s truncated demon roster saw fit to excise the Spirit race completely, only to include some of its typical members, like Legion, within the Haunts. What’s the distinction, then? Interesting usage of the 幽鬼 compound in Japanese comes from a surprising place: J.R.R. 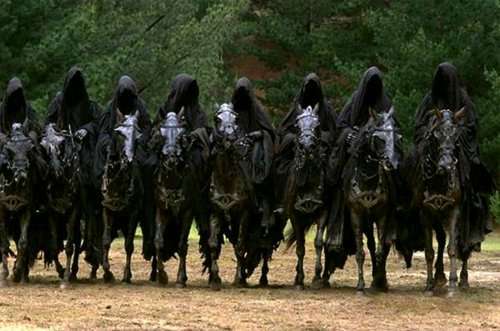 Tolkien’s Ringwraiths (指輪の幽鬼). FOUL: (LH) “Foul” is fantastic. The Japanese word is “外道” (“gedou”), which carries a couple of different meanings depending on the context. The first usage is as a Buddhist term referring specifically to non-Buddhist teachings; the second means “heterodoxy” or “heresy.” You can probably see how the second followed the first. In any case, the Buddhist connotations would probably be lost in translation anyway (and probably aren’t even intended), but “Foul” keeps alive the implications of inferiority or profanation in a admirably succinct and pertinent way for a race that Slimes call their own. RAPTOR: (LH) Question: How do you say “bird of ill omen” (凶鳥, kyouchou) in English with only six letters? Answer: By using a synonym for “bird of prey.” This one’s kinda brilliant. 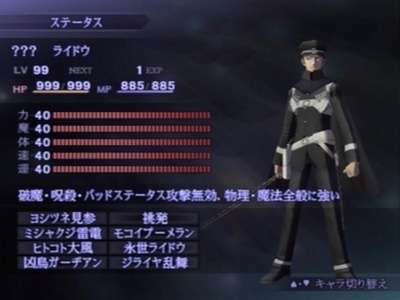 Kato’s distinct uniform of course also directly inspired Raidou Kuzunoha’s; however, when Raidou appeared in the special Chronicle edition of Nocturne, filling in Dante’s vacancy in the Fiends, he was not filed under the race of his inspiration, instead opting for the undefined “?? ?” non-race. FIEND: (LH) While their very name may trigger a Pavlovian response, there’s no need for trepidation here, as “Fiend” is a perfect localization. It’s short, punchy, and memorable–perhaps a crystallization of everyone’s first encounter with the likes of Matador and his buddies. 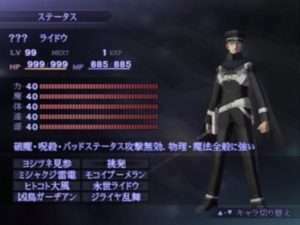 On the other side of the Pacific, their term for this race is 魔人 (majin; “demon person/evil person”), a word with Japanese cultural cachet: It’s a title for Yasunori Kato, the antagonist of the novelized epic Teito Monogatari that heavily inspired the Megami Tensei series. 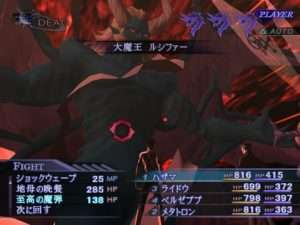 Kato is indeed a “demon-man,” as he is part oni and also a wicked sorcerer so, for him, “Majin” is used more literally than SMT’s Fiends, who are, by and large, skeletal visages of death and impending doom. ELEMENT: (G) Wait a minute, this race name has seven characters in it! Such is the miracle of variable width fonts and the lower-case letter “L.” It definitely scores points for circumventing the limits, but otherwise, “Element” is perfectly sensible though perhaps not exceptional. “Prime,” on the other hand… oh yeah, I’m not going to talk about those here. Oops. MITAMA: (G) While the Mitama were not the only race to be directly transliterated in Nocturne, they may be the only case where it’s appropriate. You could decry the nominative redundancy of a demon calling itself “Mitama Saki Mitama” (which brings to mind the Raidou games’ “Pyro Pyro Jack” or “Frost Jack Frost” or the lyrics to “The Name Game“) but it’s entirely present in the Japanese version. About the only other decent possibility would be “Soul”, as that’s one way you see its kanji, 御魂 (mitama) translated, specifically in books about Japanese religion, but that’d be splitting hairs. “Mitama” is wholly functional, and its four demons themselves provide all the context a player needs. FAIRY: (G) “Fairy” is a logical localization. It’s totally great, really. What else is there to say? Not much, except for the lingering possibility of the old redundancy conundrum. If there is one truth about creation in any medium, it’s that a work tends to be written primarily for its home market and language. 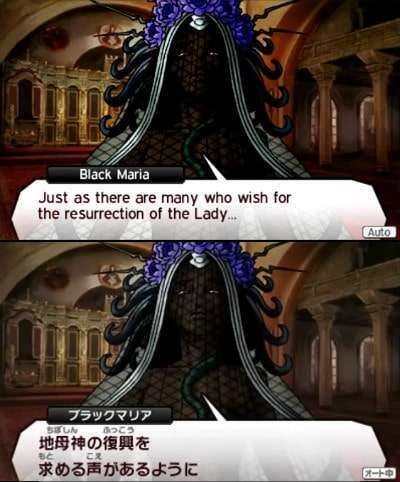 We are not SMT’s home market nor is English its home language, as it turns out, so nothing’s going to prevent the Japanese devs from one day including a demon named “Fairy” in this race, to hell with taking overseas translations into account. 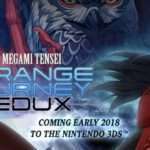 So what is an Atlus USA to do in case of Fairy-geddon? It may be surprisingly simple: Rename the race to “Fey,” another way to refer to fairy folk that avoids shameful instances of “Fairy Fairy” or even “Fairy Faerie” altogether. DIVINE: (G) The third and most thrilling entry in the Redundancy trilogy! The Japanese name is 天使 (tenshi), or “Angel.” The lowest-level Divine is… Angel. We’ve seen passable redundancy and theoretical redundancy already in the two previous entries, but the literal redundancy of “Angel Angel” would have been an unforgivable faux pas. So if that’s an impossible as a race name, where do you look? Above, it seems, to celestial terminology. In that category alone there are plenty of character-limit-friendly words in that category, such “sacred,” “holy” (taken, of course), “heaven,” “glory,” etc.–but, honestly, I think “Divine” is the best one. SNAKE: (G) This race is notable only because another stole its literal translation thunder. The Dragon race may be literally known as “Dragon God” (龍神) in Japanese, but Snake is called “Dragon King” (龍王). Honestly, “Snake” might even be an improvement since not all of its family have such regal positions or aspirations. FEMME: (G) After some consideration, I had to change this race’s grade from “fail” to “pass.” This hinges on an implication of intent that “Femme” is meant to stand for the “femme fatale” character archetype and is not just a word chosen for its feminine meaning (see also: Lady, below). But why this hopeful interpretation is a good choice is because it is an appropriate approximation of the Japanese, 鬼女 (kijo; “witch”), with its implied negativity. But then, this is only if you stretch a little bit. Otherwise, why not just call the race “Witch,” or “Crone”? I mean, what else is Rangda, anyway? Please see the accompanying entry for the obvious Herald joke. AVATAR: (G) “Divine Beast,” the incarnation of a god in animal form, is the meaning behind 神獣 (shinjuu). The word “avatar,” while lacking any bestial implications, nonetheless does imply the incarnation of a god. Consequently, “Avatar” as a localization choice for this race is the embodiment of acceptable compromise. And so any fair assessment of Nocturne‘s localization legacy must eventually come to the inadequate among them: For reasons unknown (but probably deadlines), the following handful of races did not receive the proper translation or full attention they deserved. Four out of the five are merely transliterated, and, as of 2016, remain so. It’s unfortunate, as the transliterated terms only serve to express a categorical distinction instead of presenting players a quick, useful mnemonic for these races and their members. When the awkwardly translated races turn up in the games’ scripts, the original intent flies out the window. YOMA: (E) *rubs hands together excitedly* Here we go, kids, strap yourselves in. This here race is one of the main reasons I wanted to write this article in the first place. So what is a “Yoma”? In the literal sense, it (kanji: 妖魔) means “mystic demon,” though, again, I’ll ask you refer back one final time to the “Mystery of MA” article linked above for the full details. 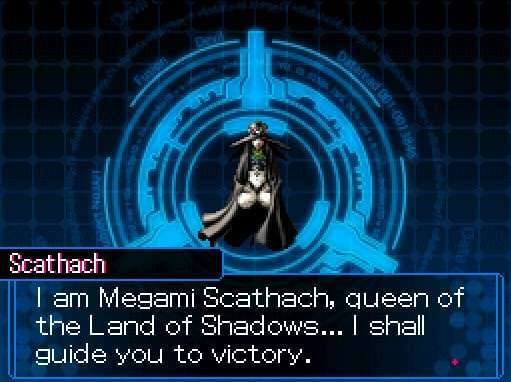 But, in short, “Yoma” is practically meaningless in the context of SMT, even in Japanese—so this goes double for English. We can do better. 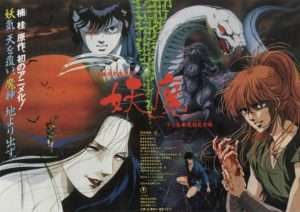 Some old anime called Yoma about ninja fighting literal demons; it was translated into English as Blood Reign: Curse of the Yoma. 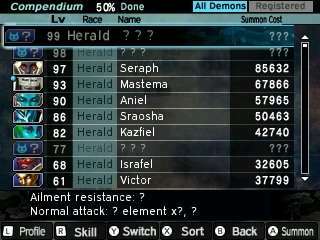 To do better, we’ll need to look for a pattern among the demons commonly assigned to the Yoma race. These include the Hindu god Ganesha, Odin’s choosers of the slain the Valkyries, the hot-tempered Arabic Jinn, the many varieties of Japanese Tengu, Aleister Crowley’s beast mode Master Therion, and, gosh, even the monkey warrior Hanuman in games where Genma isn’t available. This is quite a spread. So what do they have in common? 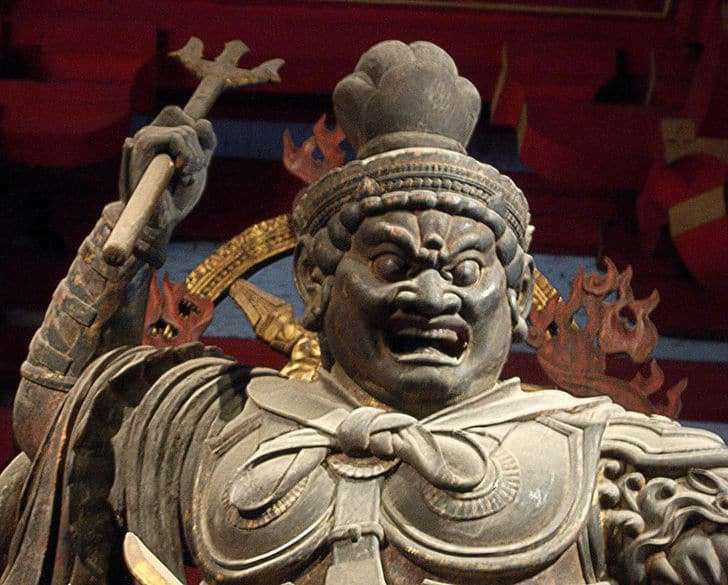 With Ganesha’s role as a god of beginnings, the Valkyries appearing to dead people, and supernatural entities like the Tengu and Jinn portending good or bad fortune, I’d make a case that one of the main threads of the Yoma is representation of omens, good or bad. Therefore, a neutral definition of Omen might be the ideal fit. Otherwise, giving the race the ol’ single-kanji-translation with Mystic would also be acceptable. Just anything’s better than Yoma, because it offers zero context or meaning to the English-speaking player! JIRAE: (E) This is a weird one. If there’s a reason why the Jirae shouldn’t have followed the single kanji translation pattern, thus being named “Earth,” I can’t think of it. As the Japanese name (地霊; “earth spirit”) implies, the demons of the Jirae are closely associated with the land, rocks, mountains, etc. Perhaps there was some disagreement over “Earth” being used, but I don’t know why that would be when it’s simple, straightforward, and falls right in line with the original intent. GENMA: (E) And here’s one of my other main motivations behind this article. Since the Genma provide a nice pairing with the Yoma, I shouldn’t need to reiterate the general details. But I’ll ask a similar question: What is a Genma? Literally, it means “phantom demon” (kanji: 幻魔). Okay. So what does that have to do with Cu Chulainn, Heimdall, Hanuman, Kresnik, Baldur, or Tlaloc? Well, like Yoma, Genma is a Japanese pop culture term with series usage dating to the earliest Megami Tensei games; as such, it may not accurately reflect SMT’s actual conventions. Then, what’s the common link? Often, a possible localization suggestion is “Demigod,” but I don’t think that’s representative of the race’s common roster. Demons like Cu Chulainn, sure, but there are others like Heimdall or Tlaloc who are actual, full-tilt gods. Imagine: “I am DEMIGOD Heimdall… apparently I don’t toot my own horn loud enough.” However, I have two suggestions. LOOK AT HIM HE’S SO LIMINAL. The second would be my personal choice: “Liminal.” It’s seven characters, but in a variable-width font it should be no issue; it takes up less horizontal space than “Element” does! To be liminal means to exist at a threshold, or, in mythology, be between two states of existence; I first learned about this term as applied to Cu Chulainn, who indeed is a demigod. But too does Heimdall live at the boundary between the gods and mortals; Hanuman is monkey and man; Kresnik is hunter-shaman and animal; Baldur is chained to Hel but will return after Ragnarok; and Tlaloc, as rain, is the gift that cycles from heaven to earth and vice-versa. “Liminal” is a term with broad applications, fitting for a race with a broad selection of members. 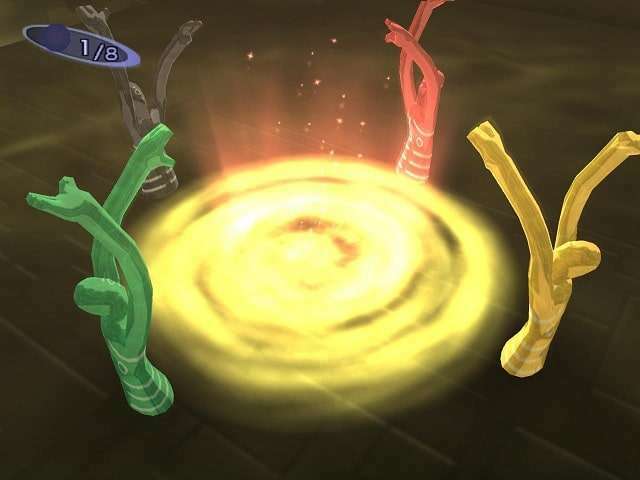 Before we move on, let’s not overlook the unique races of some of Nocturne‘s bosses and non-standard encounters, compared to the Japanese originals. 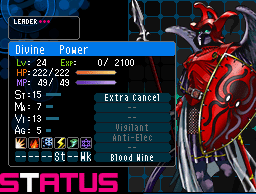 These don’t see much use in other games with the exception of Lucifer’s, which actually debuted in Shin Megami Tensei: NINE, and the Hallel brothers’, which originally appeared in Majin Tensei II. I decided not to grade these, but you can probably gather the gist of my opinion based on the text. ZOA: (分霊, bunrei; “divided spirit”) Stuffing the intent behind “divided spirit” into around six characters was probably too much of a pain for Atlus USA, so, instead, some particularly sly lateral thinking was applied and they used the actual mythological term, Zoa, for Albion’s spawn Tharmas, Urizen, Luvah, and Urthona. It’s also worth noting that Bunrei is a Shinto term, but its literal meaning relates well to William Blake’s concepts of the primordial giant Albion and his division into the aforementioned quartet. The emanation of the giant Albion. CORPUS: (擬人, gijin; “pseudo-human”) Corpus is used only for Manikins fought in random battles, which happens seldom. So how does it reflect the “almost human” nature of Manikins? While the word “corpus” is most commonly used to describe a collection of writings, its original Latin definitions can refer to bodies, substance, or corpses. It’s creative, I guess! HALLEL: (熾天使, shitenshi; “seraph”) The race of both Ose Hallel and Flauros Hallel in the Baal Avatar battle; Hallel is a Hebrew word for “praise” (hence the English usage of “hallelujah,” literally “praise to Jah“). Unfortunately, this one falls short of the mark, if only for its sinful redundancy. But considering the literal translation of the Japanese race would have required the above Seraph/Daitenshi race to be further shuffled around, reusing the only context given for these two very minor antagonists was the lesser of two evils. Thanks for tuning in to part two! 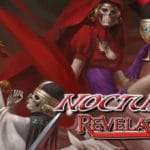 Next time on Nocturnal Revelations: We get to the bottom of characters, skills, and other varied terminology before tackling what was perhaps the game’s most important localization choice. It’s sure to be a shocker! You can find the the rest of this series, Part 1 and Part 3, here.